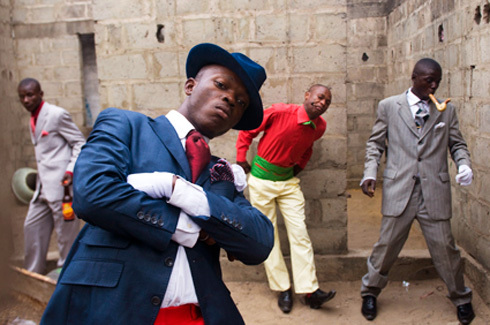 Looking like a million bucks—even if you’re flat broke—is the first rule of La Societé des Ambianceurs et des Personnes Élégantes, a subculture of Congolese dandies who bring high fashion to the streets. Sapeurs may beg, borrow, or steal to get the latest from Paris and Milan. Disputes over who’s the most dapper are decided by duels: Whoever flashes the most exclusive label wins. For more of Daniele Tamagni‘s “Gentlemen of Bacongo,” click here. This photograph appeared in the March/April 2010 Issue of Mother Jones.